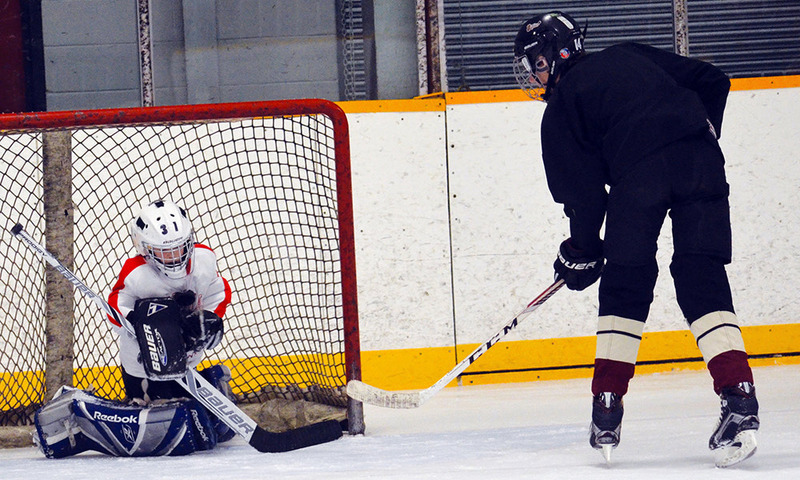 Kayla Black is putting her experience as a goaltender in the American collegiate hockey system to good use, running a clinic for local goalies through the Blyth and Brussels Minor Hockey Association. Black has been participating in the clinic for two hockey seasons now, having run two this year with more to come. 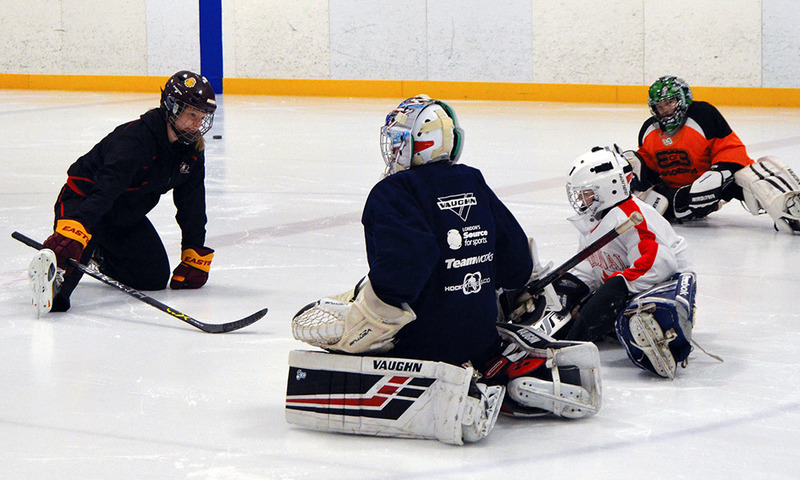 She’s working alongside Ryan Baker, a local goaltender with a number of years of experience, and Brett Fischer, who organizes the events and ice time, as well as participating. The program started when Fischer approached her after fellow coach Robb Finch connected the two of them. Because of the wide variety of age groups typically represented at the clinics, Black said there is a wide variety of training options presented. She said two of the big areas she focuses on are positioning and playing the puck. Black also asks the participants what they want to focus on, saying that, during her most recent ice times, the goalies asked to focus on positioning and usage of the glove and blocker. 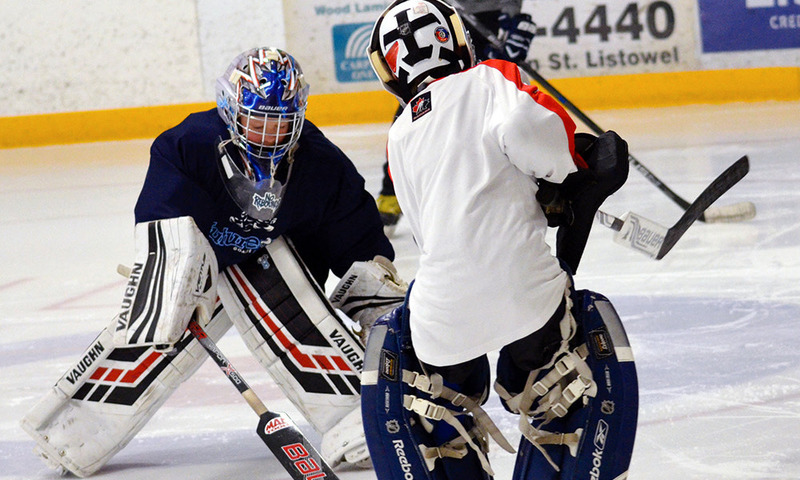 She says that by focusing on what the players think they need to work on and by making the lessons approachable through fun drills and games, helps keep the goalies invested. 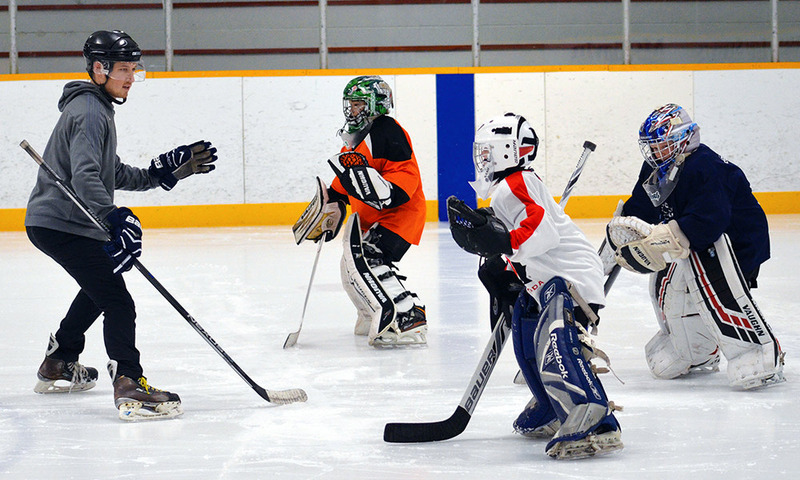 Black started playing hockey in Blyth, ending up as netminder after her team cycled through several players and her teammates told her she had the aptitude for it. After that, she played in Milverton for a year, and then in Strathroy, playing for the Bluewater Hawks for seven years, including PeeWee, Bantam, Midget and Junior-level competition. After that she played for the Minnesota-Duluth Bulldogs women’s hockey team while pursuing her education, an experience she says was second-to-none. Currently, Black in her third season with the Lucknow Legends senior women’s team. She also has experience with Canada’s national U18 and U22 hockey programs.